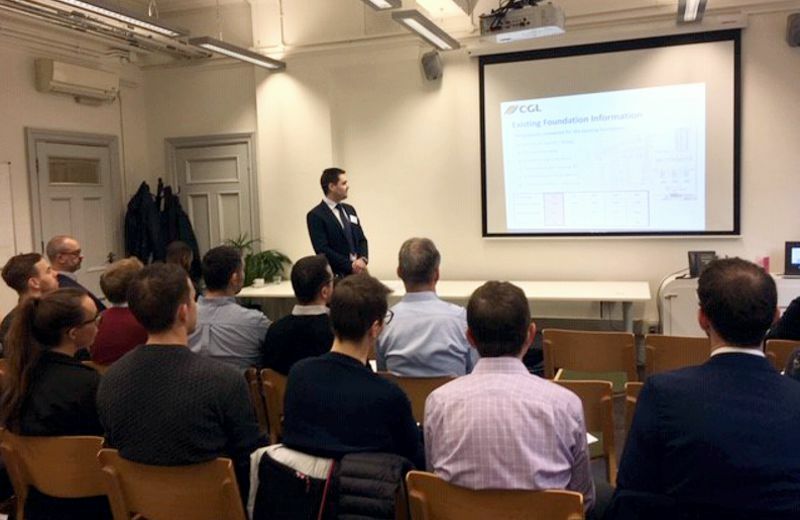 It was a full house last week for CGL’s breakfast seminar on the reuse of foundations (RuFUS). Richard Ball and Joe Slattery spoke, drawing on their innovative work to reuse foundations for recently completed basement structure projects in London. Highlighting the opportunities that sophisticated analysis offers to save project costs, programme and environmental impact if the existing foundations can be fully or part utilised and remove the need for new foundations. Due to the success of this event it will be re-run in the new year, if you would like to be notified of the date please email Katie Hatchley at: KatieH@cgl-uk.com. For a discussion about how RuFUS might be applied to your next project please call 01483 310600 or email Richard at our Godalming office Email Richard or Joe at our Dublin office Email Joseph.